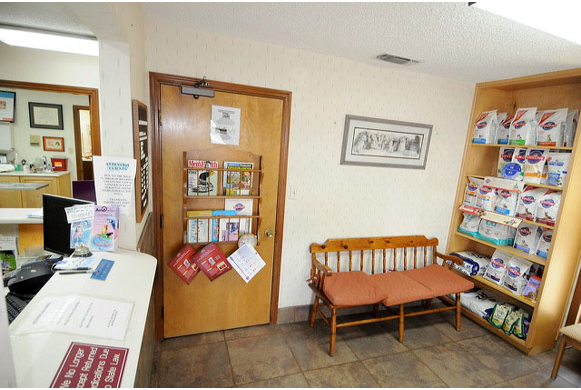 There are two entrances to our hospital, a dog waiting room and a cat waiting room. 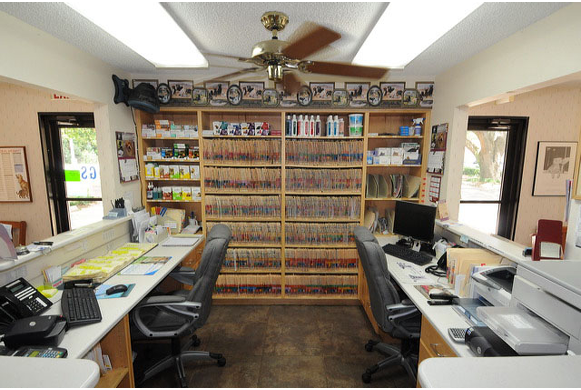 Our cheerful receptionists will provide you with friendly service. 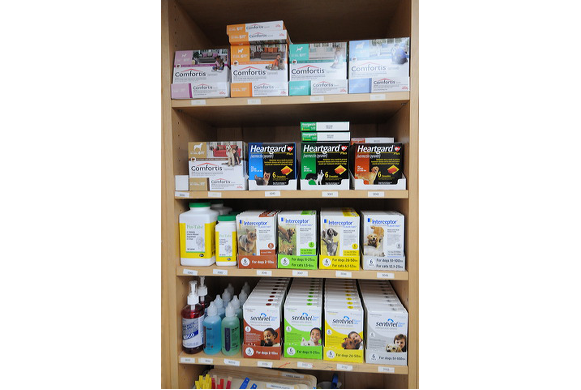 We carry a wide range of products to keep your pet healthy, including flea and tick control, heartworm prevention, grooming supplies, dental care products and much more! 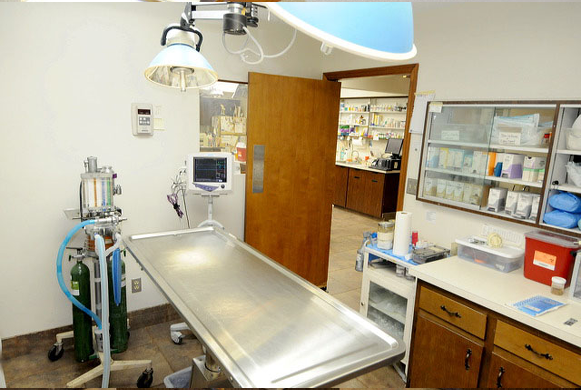 This is where the Doctors examine pets and administer treatments. 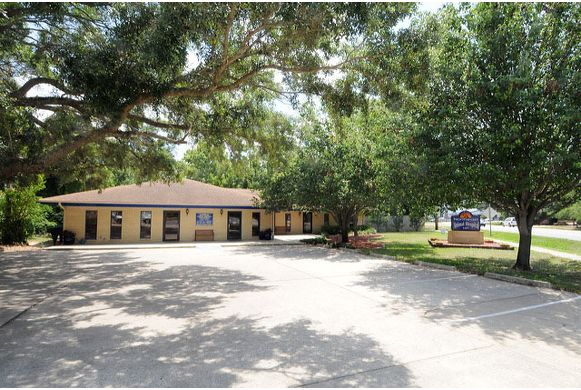 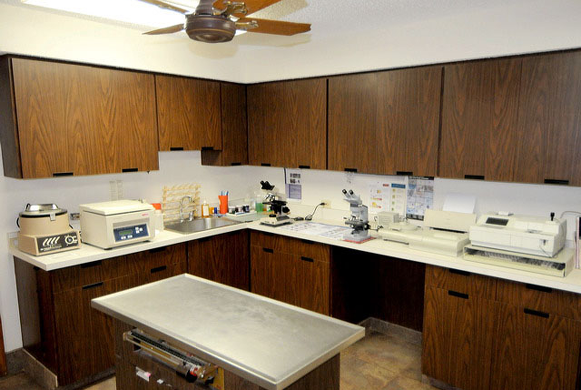 Our diagnostic lab enables us to perform quick and accurate assessments of your pet's blood, urine, or cell samples. 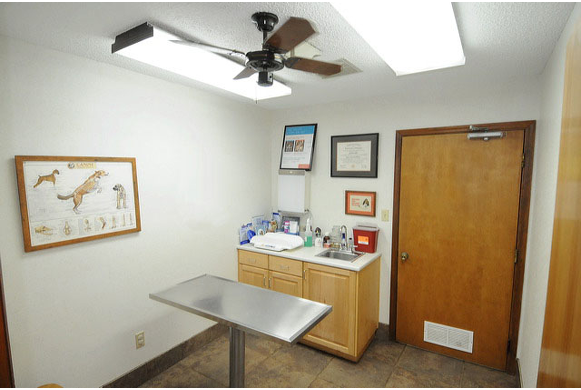 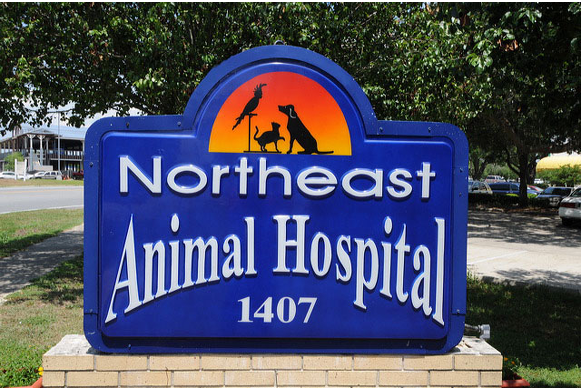 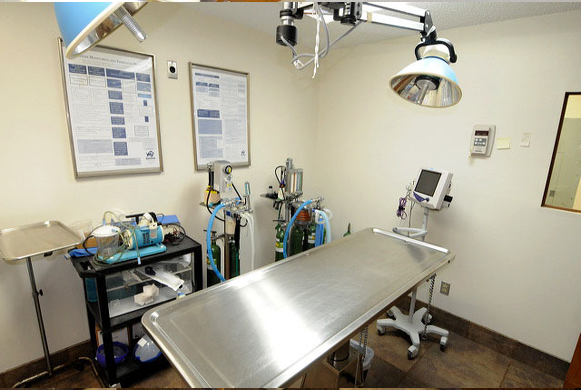 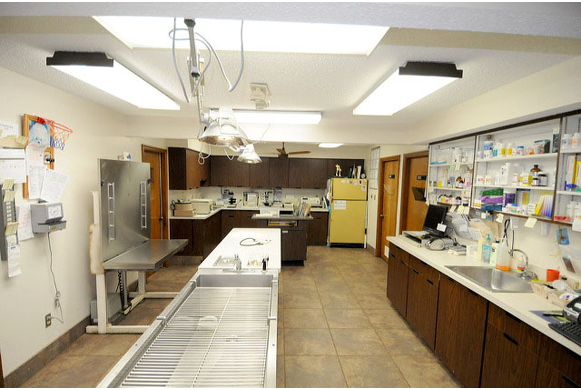 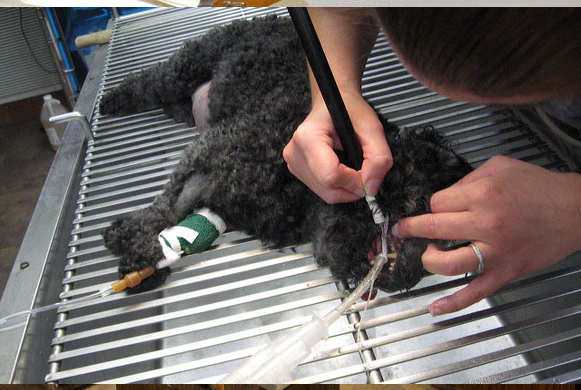 We offer many surgical procedures, the basic spay or neutering to advanced surgical techniques. 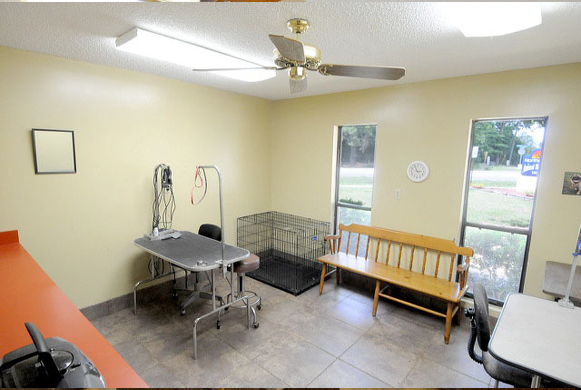 This room is separate from the main kennel area. 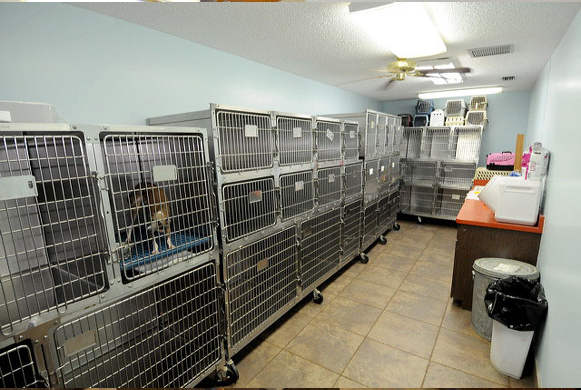 It allows cats and some timid dogs a peaceful, more relaxing stay.